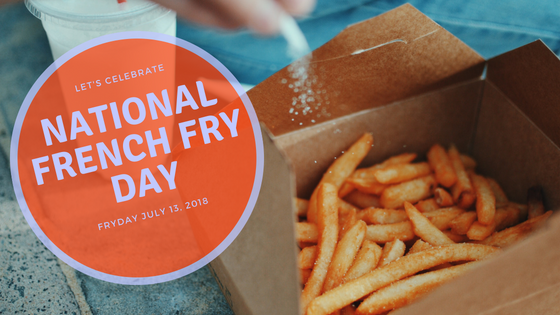 One of our favorite holidays is National French Fry Day on July 13th. Okay, so it’s not technically a real holiday, but that’s not going to stop us from celebrating! If your restaurant, café, or food truck is slinging these salty snacks, you’ll want to make sure you’re prepared with the right packaging. 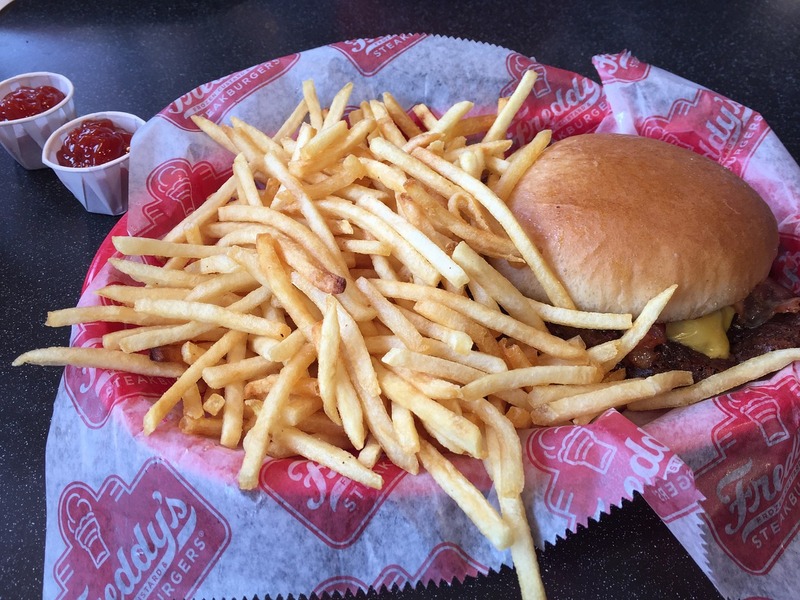 To those who keep it simple with a classic order of French fries: we salute you! Sometimes a fried potato is all that’s needed, no toppings, no extras, just salt. Thankfully, there’s a bag for that – and it comes in two sizes. We feature a square bottom so that they are able to stand up, like a mini brown paper lunch bag. And because they’re grease resistant, you don’t have to worry about oils soaking through to your customers’ hands. These eco-friendly bags are also biodegradable, recyclable, and compostable. We helped our friends t Nic’s Organic get their fry cartons customized. Of course, there are also those who take French fries to a new level with creative toppings. If this is more your pace, you’ll want to make sure you have something that accommodates all that extra cheese, meat, and sauce. 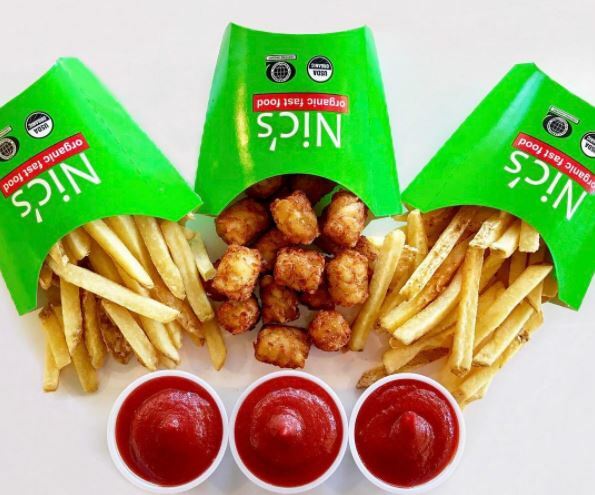 When you have a customer who is going to dig into the fries right away, paper food trays (also known as paper food boats) are your answer. Available in red and white plaid or natural brown kraft, these trays are sturdy enough to take on some of the heaviest side dishes. If you want to double-down on protection from messy foods, try using a waxed deli sheet to line the paper trays. Have customers who are taking the fries to go? Give them a box that will travel well while keeping the food hot but not soggy. Snack packs with vents will do the trick! If you’re looking to get your company’s name out there, consider putting your logo on any number of items. 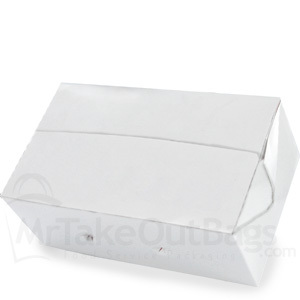 Options include the fry bags, food trays, and vented takeout boxes mentioned above. 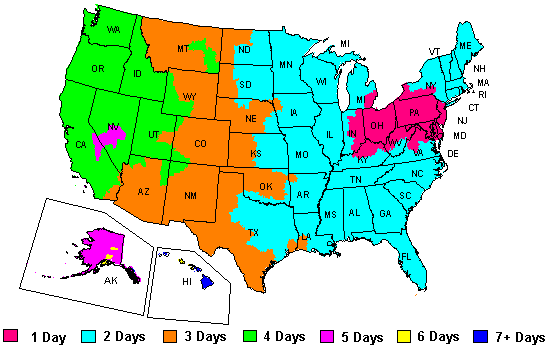 One of the most economical options is custom printed waxed food tissue. Other options include fry scoops or cups, and vented takeout boxes. And remember, all of these items work well for lots of side dishes, not just fries. We would hate to exclude other fried appetizers like onion rings, mozzarella sticks, or popcorn chicken. 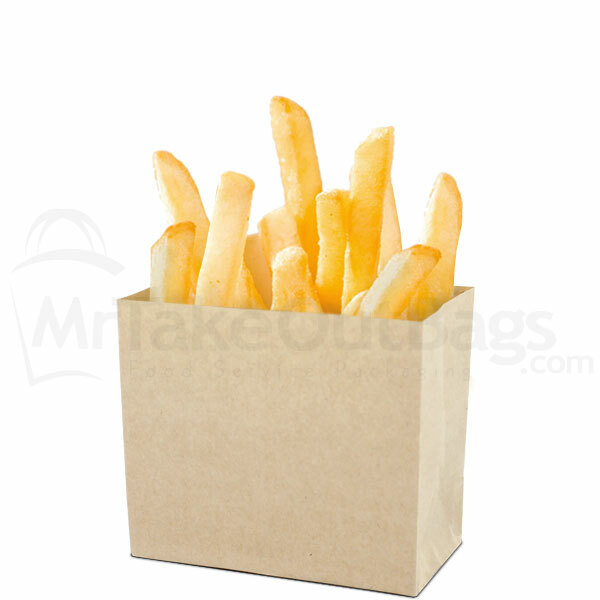 So, whether you’re a French Fry purest, or a Mile High Fry Topper, be sure to have your bags, trays, boxes, scoops, cups and tissue ready for the celebration on National French Fry Day.